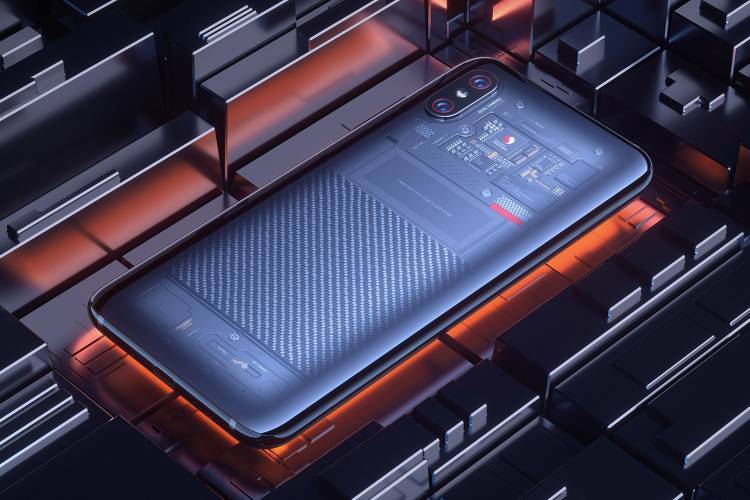 Alongside the ‘regular’ Mi 8, Xiaomi also announced a more premium edition of the phone called the Mi 8 Explorer. Just like the Mi 8, the Explorer edition sports an iPhone X-style notch and Mi Mix 2S-like dual-camera setup on the rear, however, it has some neat tricks up its sleeve. The Mi 8 Explorer Edition uses a more powerful 3D face scanner, with hardware very similar to Apple’s TrueDepth camera on the iPhone X. It also include a time of flight sensor to help authenticate faces with greater ease. 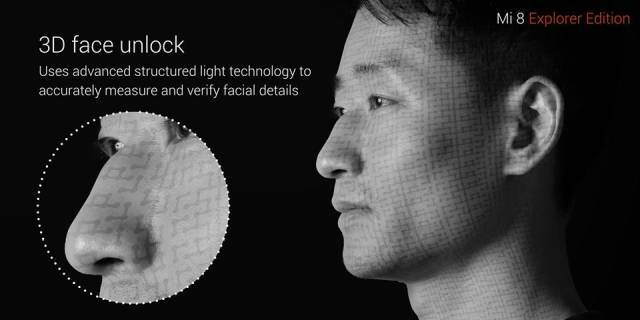 Xiaomi shamelessly calls this method Face ID, just like Apple, and with the similarity in the sensors on the front, there will be calls of copy-cat as well. In addition, the Mi 8 Explorer edition also gets a fully transparent back to show off the chipset, motherboard and the battery – however, the effect looks much better in the HTC U12+ which goes for a translucent effect instead. It’s definitely a cool look though, which sacrifices the rear fingerprint reader. 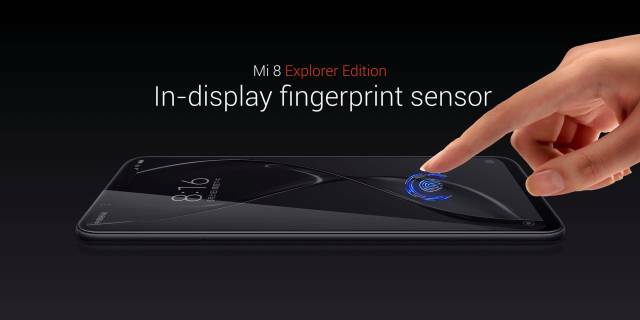 However, iin its place Xiaomi has added an in-display fingerprint reader, just like the recently-launched Vivo X21. The sensor in the Mi 8 Explorer edition has pressure activation which means it only activates when you press it and is not always running. Both variants of the Mi 8 pack a Qualcomm Snapdragon 845 chipset and 6GB of RAM, though the Explorer edition get 8GB RAM along with 256GB of storage. The Mi 8 phones sport a 6.21-inch 2,248 x 1,080 AMOLED screen with 600-nit brightness, and of course the notch, which can be hidden in MIUI with a simple toggle. In fact, Xiaomi rarely showed the phone on stage with the notch setting off, so the phone looked like any normal device without the notch. There is however a small chin at the bottom. 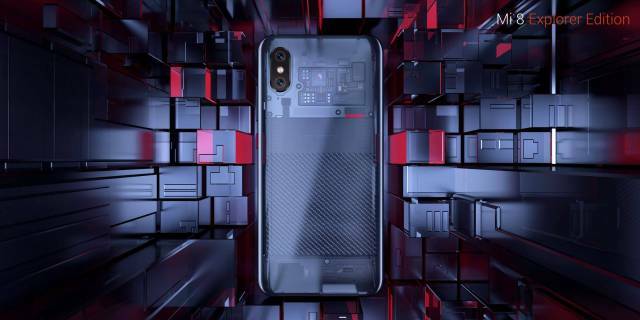 The Mi 8 Explorer Edition is priced at 3,699 yuan or roughly Rs 37,000, though pricing and availability outside China are a mystery for now.